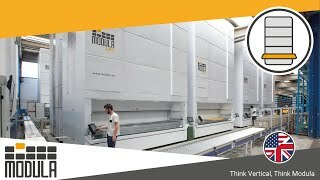 Modula manufactures automated picking and storage solutions featuring the most advanced Vertical Lift Modules (VLMs) in the market. 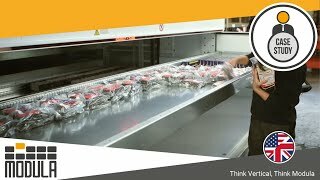 Our innovative storage solutions are designed to optimize space and improve picking and storage operations. The VLM utilizes the full ceiling height of a facility thus maximizing the storage potential. 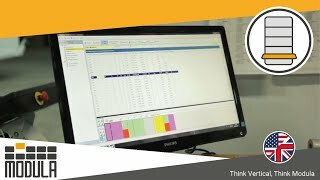 Items are stored in units up to 46' high, in a safe, secure environment and automatically delivered to the operator, avoiding unnecessary bending, walking and reaching for parts. 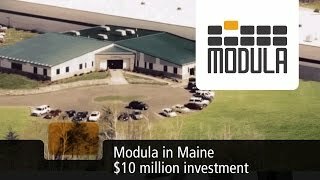 Modula's storage solutions are proudly made in USA out of our North American headquarters in Lewiston, Maine. The site covers over 102,000 sq ft of production and engineering space and houses a team of 75 people. Thanks to the local production, we offer our full range of products with the fastest delivery in the market. Worldwide, we employ 300 people. In addition, there are 18 branch offices in Europe, the Americas, Asia and Africa.